Paddy's Sports View: Australia v New Zealand, like most of the 42 "Pool" stage matches in the Cricket World Cup, is non-competitive. Australia v New Zealand, like most of the 42 "Pool" stage matches in the Cricket World Cup, is non-competitive. "Tomorrow we'll be two long weeks into the Cricket World Cup and excitement is at fever pitch as the two best sides in the tournament prepare to play one another in Auckland." NOT! Australia and New Zealand will face one another at Eden Park. 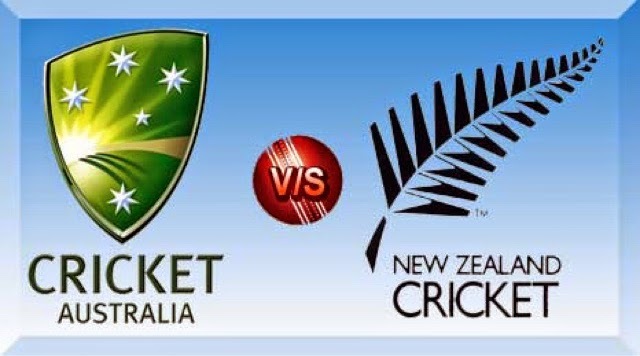 And as always with clashes of the two rivals from across the Tasman Sea local pride will make the result matter. Sort of. But in the context of the Tournament the outcome is irrelevant. As have been the results of most of the matches so far. Both of tomorrow's teams are guaranteed a place in the Quarter Finals - and that has been the case from the start of the World Cup. The world's top teams have only had to make sure that they do not slip up against one of the "minnows" to ensure that they get into the knockout stage when the proper competition starts. (That's on 18th March, by the way when the first Quarter Final takes place. The 43rd game in the tournament !). There has been one "slip up" so far - Ireland's fine win against the West Indies. Could the Irish upset the odds and qualify from Pool "B" ? It's certainly possible that they could be facing Pakistan in the final pool stages match with the winner taking all. But that is the only possible shock outcome and my money would still be on the likelihood that the pre-destined outcome of the eight quarter-finalists being Australia, New Zealand, Sri Lanka and England (from Pool "A") and India, West Indies, South Africa and Pakistan (from Pool "B"). England could well lose to Sri Lanka on Saturday (their third defeat out of four) and still qualify for the Q/F by beating Afghanistan and Bangladesh to add to their win over Scotland. That's the fix of the tournament. It makes virtually every match of the 42 Pool matches non-competitive. This hasn't been a World Cup at all it's been a Festival of Cricket. And very nice too you might say. But should the media and the sponsors really be calling the tunes? India HAD to be in the final stages to keep the money men happy and if you are going to fix that you might as well fix it for the other big boys as well. The two hosts. England (the second biggest commercial money-spinner after India) and so on. We the public are being fooled by being told that matches like Australia v New Zealand matter. And no doubt both sides will be doing their best to win. But will there be a real cutting edge and will the spectators in Auckland and around the world be on the edges of their seats biting their nails with anxiety about the outcome? Nah! How not to apologise - again !